Facial detection and recognition in images that accurately returns face location and identity. List of detected faces can be used to perform classification such as gender, emotion, ethnicity and more. The results can be further use for statistical analytics, modeling, grouping, face search and identity verification. Detection system that can detect thousands of both common and specific objects, different activities and sceneries. Multiple objects can be identify and tracked throughout videos. This can be used for various applications, such as locating left behind luggage or trigger alarm when unauthorized person enter restricted area. Recommender systems continuously learn from your data to provide suggestions for both new users and new products. We can optimize the system to fit your business objective and provide recommendation in real-time. Application includes product suggestions, Robo-advisor, CRM and personalization. 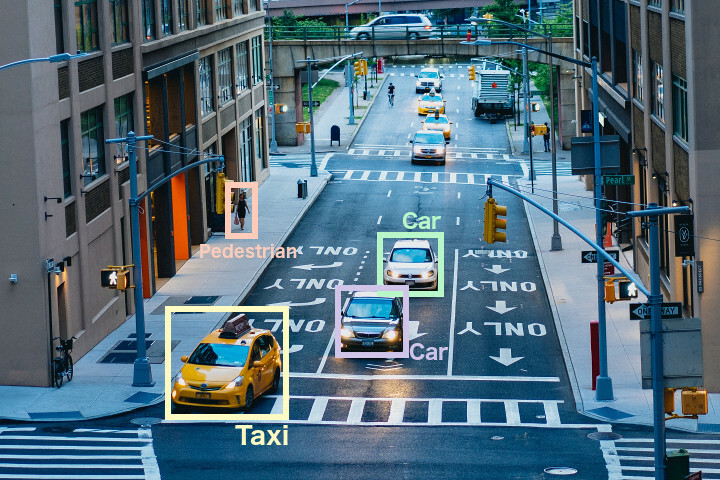 Advanced video analytics can be use to perform a variety of tasks, such as counting objects, video tagging, setting virtual fences, crowd detection, security monitoring and many more. Applications includes retailer indoor analytics, media content analysis and traffic surveillance.